If you’ve just had a baby, the last thing you want to think about is going back to work. You want to spend as long as possible with your newborn, bonding, cuddling and getting to know your baby. If this is your first baby, chances are the baby monitor is your best friend, as you listen carefully for every cry or whimper in the night. You are nervous, anxious and slightly on edge. And this applies to men and women equally. Unfortunately, too often it seems that maternity leave and paternity leave are not long enough. Before you know it, it seems that you are back at work, trying to juggle the challenges of a job and a newborn. Family leaves in America and Australia are often short and unpaid in contrast to many European countries, many of which are a full year-long at full pay. This can be detrimental to the whole family – mother, father, newborn and any other siblings. Although the Family and Medical Leave Act (FMLA) was passed in 1993, this law only protects a job (or an equivalent position) for up to 12 weeks, but does not guarantee paid time off. Family leave includes maternity, paternity, adoption leave and any leave in case of illness or death. Not every company offers paid maternity/paternity leave, in some cases requiring both men and women to use a combination of their short term disability, vacation time, personal time or sick days. The FMLA is applicable to both men and women and can be used whether giving birth to a baby or adopting a baby. However, there are some restrictions. Smaller companies (less than 50 employees) and your length of employment (less than 12 months), plus your salary (if you are in the top 10%), could negate FMLA. Some states have family leave acts that are broader than the federal mandate. A 2012 National Partnership study found that 14 states and the District of Columbia have laws that go beyond the federal FMLA. California and New Jersey in particular provide paid family leave insurance to eligible employees through payroll contributions. A new study done by University of Maryland researchers monitored 800 women in Minnesota for up to a year after giving birth. It confirms that a longer maternity leave reduces a woman’s risk of postpartum depression, and that 12 weeks guaranteed by the FMLA is simply not enough. Because many women can’t afford to take off time from work that is unpaid, they rush back to work. But, the study revealed that women who return to work sooner than six months after childbirth have an increased risk of postpartum depressive symptoms. About 7 of the mothers in the study went back to work within six weeks, 46 by twelve weeks, and 87 by six months. Because 13 reported postpartum symptoms, researchers concluded that 12 weeks “may not be sufficient for mothers at risk for or experiencing postpartum depression.” Additionally, mothers who extended their maternity leaves have been found to breastfeed longer, which many experts agree is healthier for the baby. Women who take leave prior to delivery are also four times less likely to deliver via a C-section than a vaginal delivery. Although some companies pride themselves on their generous maternity leave policies, men are often short-changed. Some employers like Yahoo and Bank of America offer paid paternity leave, however, research shows that men are more reluctant to take advantage of the paid time off. The reasons? A fear of losing their status at work because of some outdated notions about the father’s role as “head of household.” Despite a 2011 study done by the Boston College Center for Work and Family that states about 85 of fathers take some time off after the birth of a baby, few take more than one to two weeks. Why? Some cave to the antiquated notion that work should come before family and that it is virtually impossible to focus on both. Others face ridicule and insults from men without children for seeming less dedicated to their work and “wimpy” or “henpecked” by their wives. For instance, even though Ernst & Young offers up to six weeks with pay, more than 90 of fathers use only two weeks. When the Wall Street Journal conducted a survey on Facebook, there was a distinct difference of opinion in the generations, with younger fathers recognizing the value of paternity leave, while older workers worrying about the negative perceptions. Interestingly, though, just like with women, longer paternity leaves are shown to have long-term benefits. Researchers at Columbia University found a direct correlation between longer paternity leaves and a greater involvement in child care. There is also the worry about economic losses resulting from maternity or paternity leave. According to a 2012 study by the Families and Work Institute, just 14 of employers offer any kind of paid leave for the spouses of women who have given birth. In fact, research points to the fact that women usually reduce their work hours after becoming a parent while men generally increase theirs, resulting in a perception that women are less committed to their jobs. Women on the “mommy track” tend to earn less than non-mothers and single men and substantially less than married fathers. A survey of more than 12,000 fathers found that men who reduce their work hours or take time off for family reasons were also likely to experience lower earnings over the course of their working lives. Without a doubt, both Moms and Dads would benefit from longer maternity and paternity leaves. Although more companies are offering paid maternity leave as a way to retain women, many forget about fathers who want to spend time with their newborns or mothers who have better jobs than fathers and can’t take as much time off. It should not be seen as maternity leave or paternity leave but as a family issue that affects everyone. Many agree that fathers who take paternity leave offer peace of mind to mothers returning to work, save money on child-care costs (if their leave is paid), and may be more involved with caring for their children over time, freeing mothers up to take on more work. More progressive companies are realizing that having a better balance between work and home creates healthier employees and a better company culture in the long run. I hope that in the future, both men and women can take paid leave peacefully, without worrying about money or losing a job on top of their newfound parental responsibilities. This is so true. My husband and I were very fortunate that our baby was born just on the cusp of the summer holidays (he works in a school), and so he has been able to share in her first 6 weeks, and I can’t imagine if he’d only taken the 2 weeks that are paid for in the UK. Our daughter loves him so much already having had him around so much, and they have bonded loads as a result of the holidays. 2 weeks is simply not enough time for fathers to spend with their newborns – especially as babies tend not to really ‘connect with’ and prefer their parents to others until about 6 weeks! I couldn’t agree more. Bonding with dad is just as important as bonding with mom. Learning to become a family takes time. Thanks for the great post. I’m all for family leave for dads and agree that its disappointing that places like Australia (where I live) don’t provide enough leave for dads. Many end up using their recreational leave and long service leave to cover 6 to 8 weeks. Wow! A whole year? That’s a long time. Thanks for all your research on this. Very interesting. I have a friend who goes back to work next week. She is dreading it! I’m here from the Unite linkup. Great post with lots of good information for your moms and dads. I’m a Nana, now, but have a huge heart for mentoring young parents. Very interesting post. Here in Canada we get 1 year total combined maternity and paternity leave. A year with our babies is wonderful! I couldn’t imagine having less time. 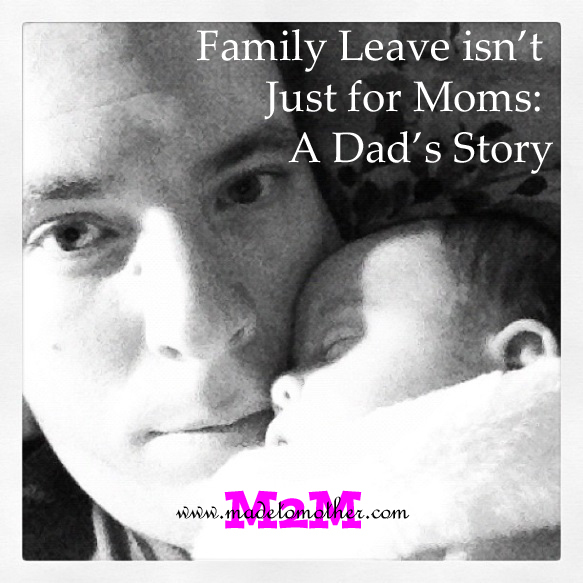 Although my husband didn’t take paternity leave, he did stay home after my leave was over when I went back to work. Much appreciation for linking up to the #SHINEbloghop. I love that you took a moment to shine! Excellent blog yоu’ve ggot herᥱ.. It’s hаrd tߋ fіnd gօod quality writing liҝe yߋurs nowadays. I ѕeriously appreciate individuals ⅼike үoս!